Lat, Karim Raslan, at The Bookshop? Wow. The Bookshop may be hosting a series of events in July in conjunction with National Reading month. On the list of possible speakers are Lat and Karim Raslan, as well as a bunch of other people. You might even get a chance to have dinner with Lat. How cool is that? ...Or whatever the phrase to use is. See that XML button on the right? Well, thanks to Blogger and FeedBurner, all entries in dzof.org are now RSS streams. If you don't know what RSS is, then... well, it's just another way of reading news on websites. Or you can read this for an explanation. I'm not 100% sure how useful this is to most people, but it's there, if you want to use it. If you're a web developer and you use Mozilla, let me recommend to you Chris Pederick's Web Developer toolbar. Basically, it puts a toolbar (surprise!) with a whole-load of nifty features, like "validate my HTML code" or "Outline images with ALT attributes" or "Resize to 640x480". My personal current favourite is "View ID and Class details" which shows you which bits of your webpage belong to which CSS ID's and Classes. Very cool. SUHAKAM, the Human Rights Commission of Malaysia, has made not one but two articles in today's newspapers. One is in conjunction with the release of a report titled Human Rights and the Administration of the Law (Executive Summary [PDF] and Full Report [PDF]). This is reported in The Star and The New Straits Times. In particular, the newspaper reports focus on extended remand periods, when suspects are moved between one prison and the next. A person under remand is not under arrest, but the police are investigating and there is a risk of the suspect fleeing. The law only allows a maximum remand of 14 days. However, it is possible to get around this restriction by bringing a suspect to a police station under another jurisdiction and applying for another remand. "'Road Show Remand' is a term coined to describe the situation where a suspect is arrested by the Police and is subsequently remanded by a Magistrate in a particular jurisdiction. Upon the expiration of the remand period by the Magistrate in the first jurisdiction, the suspect is then detained at another police station and remanded by a Magistrate in another jurisdiction. Upon the expiration of the remand period by the Magistrate in the second jurisdiction, the suspect is again detained in a third police station and subsequently remanded by the Magistrate in a third jurisdiction and process of remand goes on. The suspect may therefore be continuously remanded for a long period of time." Anyway, it seems that in one case, someone was effectively held for 77 days in remand, which is some way over the 14-day limit. He died in hospital while still under police custody. ON THE OTHER HAND, SUHAKAM has also released a media statement titled Whipping Demonstrations Against the Spirit of Children's Rights (PDF). This is reported in The Star and The Sun. This one, I have a tough time figuring out. I don't think SUHAKAM has done itself any favours. The way it is reported in the press, it makes it sound as if whipping demonstrations in schools are bad because children should not be exposed to such cruel and excessive punishment. On the other hand, I've never seen SUHAKAM comment about excessive violence on TV, and then one man's violence is another man's entertainment. The Human Rights Committee of the United Nations, which is established to monitor the implementation of ICCPR in member states, has recommended that torture, cruel and degrading treatment must extend to corporal punishment including excessive chastisement as an educational or disciplinary measure. disciplinary measure is contrary to international standards. In other words, they are first saying that whipping is "excessive chastisement" and then to say that you shouldn't use this as an educational measure. The link is sort of there, and yet not made clear at all in the newspapers. Personally, I think that the link was originally made by the UN in relation to corporal punsihment in schools (you know, caning, knuckle-rapping and the like), and to extend it to this is a bit of a stretch. Are you saying that students shouldn't be told and shown what happens to lawbreakers when they are punished under accordance of the law? Are you saying that the law is excessive in the first place? Part of the fight for human rights is in the communication. If this comment on whipping degenerates into an "I'm right, you're wrong" argument between the Government and SUHAKAM, we will have take a step backwards. Avantgo is a software for palm devices that enables you to download and view websites on your palm. Very cool, I use it to download news and soccer sites. I also know that at least one guy out there uses Avantgo to download this website, and I've never actually thought about how dzof.org looks on a palm before. Well, it didn't look to good - the culprit was the ALT tag for the blogger image at the bottom that stretched the website over the width of the Palm Pilot. I shortened it, as well as made the titles explicitly BOLD (instead of relying on the style-sheet), and now it looks slightly better. If only Avantgo would define palm-friendly stylesheets, so we could use a link rel="stylesheet" media="avantgo" or something similar to explicitly define a look for Avantgo, and not have one page cater for two styles. Blogger has now made it easier to attach photos to your blogger website. It's this program called "Hello". Just trying it out, you know. The Malaysian authorities have been engaging in widespread mistreatment of terror suspects, according to the organisation Human Rights Watch. Abuses have included beatings, burning with cigarettes and sexual humiliation, the New York-based organisation says in a report issued on Tuesday. Some suspects have been told they will be handed over to the US authorities at Guantanamo Bay, it adds. The Malaysian government has denied mistreating prisoners. The BBC has broke this news a few hours ago. This report is what the Malaysian Prime Minister was commenting on when he said that ISA detainees were not being abused. Just repeating what I've seen in Jeff Ooi's and MGG Pillai's blogs. There's been a large outcry over the abuse of the Indonesian maid, and rightly so. Yet, you have to wonder how much is genuine outrage and how much is teacup storm-brewing/political bandwagon-jumping. "I will lash out at the media. I will also shout at the editors and raise this in Parliament. The identity of the housewife's husband should also be made public for allowing the abuse. Any media organisation which blurs the culprit's face is an accomplice,"
In Kuala Lumpur, Culture, Arts and Heritage Minister Datuk Seri Dr Rais Yatim said because of the savage and inhuman abuse on Nirmala, the perpetrator deserved to be judged prematurely... "This is one case, I believe, where the adage of law ‘one is not guilty until found so by the court of law' is not suitable for this category (of crime)," he said. Neither of these two, to my knowledge, have been reprimanded for undermining the Law's and the Court's authority. After all, the suspects have been identified, one has been arrested and charged, there will be a trial, she will plead defence and if she is found guilty, a sentence will be passed. Isn't this justice? Does there need to be a trial by minister-quoting? And yes, despite what Dato Seri Rais Yatim says, I believe a person should be considered innocent until proven guilty. In contrast, the Speaker of the parliament has rejected the motion to debate the performance of the Electoral Commission in the last election as it will be subjudice to election petitions currently filed in court. This was done on the advice of the AG. Are some things more subjudice than others? Really funny post parodying Astro's latest letter to all subscribers explaining their recent price hike. Is the shine of Pak Lah's new administration already dulling? Elected officials are meant to have a hundred days grace period before the public and press begin criticisms. Well, I beginning now, sixty days into his term. "There are no such abuses. There is no such thing"
"I have never heard anything specific about such atrocities, unlike those which we have seen taking place at the Abu Ghraib prison in Iraq"
"If they (the human rights organisations) have anything specific, they should have come to talk to us... They do not have to carry out random interviews because this makes it more difficult for us to take any action"
And another thing. A lot of the recommendations made by the Police Commission have also been made by Suhakam two years previously. I mean, it's not as if these problems are new. But instead of taking stock of what the commission has learnt so far, we have representatives of Special Branch dropping by the commission and observing people. And did anybody from the Government step forward and back the commission? Nope. Pak Lah, if you're for the people, act like it. In his keeness to wipe the slate clean, the prime minister has begun to replace the old guard with the new. Most of these are Oxbridge graduates, all under 35. The problem is the perception that they've risen too high, too quickly and many are just waiting for them to slip up. They're either labelled as incompetent or already corrupted. Perhaps that's true, but it's almost like they haven't had the chance to prove themselves yet. If they are to step up and make a difference (which will take time), they need both guidance and protection and not to be in the spotlight alone when muck-throwing begins. The seniors should stand beside them to take the good with the bad. Did you know that there is a Yahoo! Groups devoted to Azizan Nin? I only found out about it because somebody posted a message that linked to this website. Here's an interesting idea: this guy has purposely unsecured his WiFi in order to be able to give a "who, me?" response to allegations by his ISP that he's downloading copyrighted material. Specifically, he'll write "I had no idea that copyrighted works were being downloaded via my IP address; I have a wireless router at home and it's possible that someone may have been using my connection at the time." Too clever for his own good? Maybe. Hooray! Sheila Majid's got a new album out. It's a bit pricey, though - RM40.90 - but since it's been... like five years since Ku Mohon came out and in between all we had to live on was reissued scraps and the odd live performance. Anyway, what's the new album like? Pretty good - but safe. 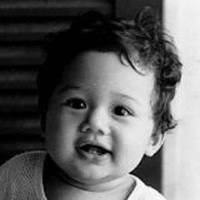 Mostly recorded in Indonesia, including songwriters, producers and sessionists - namely, Andi Rianto and someone calleh Tohpati [hey, I'm ignorant], but there's also two songs by M. Nasir. Technically it sounds fantastic, but song selection is pretty much what you expect. I suppose it caters for that forty-something crowd who are happy with 'nice' and don't really want much more. Probably the most 'controversial' (if you can call it that) is a remake of M. Nasir's Bukalah Hatimu - Mereka bawa perang di kaca TV / Secara 'live' melalui satalit / Yang untung broker teknologi / Yang kita hanya dapat kemeja-T. Honestly? M. Nasir did it much better, with more of an edge and anger. There is nothing on the album to match the intensity and honesty of Ku Mohon. Maybe we should just accept that strife can produce great music but a happy home life results in - well, nice music. I am not wishing anything but the best for Sheila, but maybe next time she should look for angry songwriters and producers to channel. I have been a beta user of Gmail now for a few weeks. It's... interesting. A lot of good ideas. But I've not made up my mind about it yet. I don't use it for my personal email, but I do forward all my junk mail to it. This includes things like newsletters, online registrations and mailing lists. 1 GIGABYTE DISK SPACE, BABY: Yeah, that's the big selling point. 1 Gig of email space. That's equivalent to something like 15 years worth of my junk mail. "Conversations": GMail automagically groups all mail in a thread into a "conversation". This is an enforced feature, but I think a good one. All replies to a particular email immediately get placed into one logical place. It is possible that mail gets wrongly attached to a conversation, but that only happens when people misuse the 'reply' feature and don't change the subject header. Labels: Email no longer gets put into folders. Instead, you now attach labels on messages. The big advantage is that messages can now have more than one label. Ever had the problem of not knowing which of two folders to file messages? Not any more. Targeted advertising: This is what some people are worried about. GMail will provide users targetted advertising based on the contents of the email a user gets. So, for example, if you have an email mentioning that you have a leaky faucet, GMail will provide you a list of plumbers in your area (or perhaps just a list of faucet salesmen). In order to do this, a program somewhere needs to read your email and this is what people are upset about. Strange though, that people are fine when Yahoo!Mail reads through your email to determine which is spam, even though in both cases your email is being analyzed by a program. Perhaps it's because the intent for one is to help you and the other is to bombard you with unwanted advertising. So, what do I think? As I said, I use GMail at the moment for my junk mail so I don't really care if they are reading what I get. I am not actually very worried about GMail reading my email - any email provider can read your email if they want to, if it's not encrypted. If you really want secure email, use PGP. I am seriously considering using GMail as an online mirror of my day-to-day email, but I'm waiting until I'm really satisfied with it. If anybody wants a subscription to GMail (it's only at Beta stage at the moment and not quite open to public access), send me an email at dzof.azmi@gmail.com explaining why you need 1 Gig of email space. I will send an invitation to join GMail to the first good reason I get. Don't forget - GMail allows you to receive attachments up to 10 MB in size, so feel free to be creative. Okay, I'm sure you've all heard of Google's impending IPO and all the excitement it's generated. A well-known and well-respected company is about to let the public invest in them, in order to return even bigger profits. Because that's what it's all about, isn't it? But I have my own personal take on stocks, shares and what they mean. Not all that many seem to agree immediately with me, but what the hey - it's a timely subject for me to yabber on. Most people see stocks as companies giving the public an opportunity to make profit from an investment. Why do you invest in company X? Because it will make money. Because I can get a good return. Because dividends will be generous. I don't quite see it that way. I think that companies going public actually gives people the chance to be part of something. It's an investment not in potential profits but of what they produce. This is why I wouldn't buy stocks in companies that do things I don't like. Even if it meant missing out on a profit at the end of the day. I mean, would you want to give money to a company that polluted your local environment? Even if you had a 30% profit in a month? This is why I would not buy stock in, for example, Microsoft. I don't want them taking my money and using it researching some sort of draconian Digital Rights Management system or to help them usurp open XML standards. I don't want either of these things to happen, I am not going to contribute to the problem. When people hear me say this, the first response (apart from "you really going to turn down free money?") is usually "but you are only a drop of water when you invest in them - you won't make a difference". Well, yes. Most of us are little drops. But the whole point of things like democracies is the belief that the cumulation of little things eventually amounts to a lot. And how can I expect others to follow if I don't take the step myself? And the flip side of things is that I feel quite a bit of pride when I am involved in something good, even if it's in the most minute sense. I'm not sure I would invest in something good that looked like a loss-maker - I'd put that under the heading of 'charity'. Would I invest in Google? Probably. It's not very clear what their plans for the future are, and some are worried that they could turn into some sort of Microsoft clone in terms of clout and influence, but that was said of Yahoo at one time, and anyway, Serge and Larry seem to have good heads on their shoulders. In a bit of a twist, the other interesting thing about the Google IPO is that some analysts are unsure about how much money there is to be made from the whole IPO shebang. Firstly, they make it clear that they do not expect to see significantly higher profits in the near future, and so dividends are likely to be modest, if not miniscule. Secondly, the system of auctioning their shares leads some to believe that the final price will be very close to the offer price, resulting in lower profits - certainly not in the range of hundreds of percents, which was the rage during the dot-com boom. The only ones that stand to make real money are those who invested in them when they were still a dream. In short, when people looked at their product and said, "hey, I'd like to be part of that". As long-time guests to this website would have noticed (all two of you), I have now changed the commenting system. This is all due to Blogger's generosity, and I now got notifications of any new comments (unlike the older system). However for some strange reason, comments are only activated for the newer posts. This is a Blogger 'feature', and I think I have to re-post every old article individually to turn it on. Wow. There was an article in The Star today about Table for Two and the traffic to this website tripled - got all of twelve hits. It was obviously a promo for the show that will debut in all of... three weeks or so? Nothing like creating awareness. It seems it will debut on TV3 on 19 June at 7pm. Take out your diary, pencil that in. It was mostly accurate as I know it, but I do take some offence from the insinuation that Ping and Bernard Chauly were alone responsible for the scripts. That's not true! I'm responsible for at least 2% of 2% of two of the scripts. There's also at least one other scriptwriter whose name now I can't recall and can't find (but it's a pretty cool name - look out for it). For the record, the other two scriptwriters are Rafidah Abdullah and Zona Marie Tan (cool name, eh?). M. Night Shyamalan has a new movie out this July - The Village. I actually like his films, including Signs (even if I was wierded out by the 'twist'). I think the guy is a great storyteller and really knows how to make things suspenseful. Now, I'm the kind of guy who peeks through his fingers when watching The X-Files, so you can imagine how little of Shyamalan's film I see first time round. The trailer for The Village must be one of the scariest I've seen and I'm anxious to see it. Or not see it. You know what I mean. Do you know how many people watch movies on Thursday mornings? Lots. I think it's to do with the fact that most movies begin their run on a Thursday so many are keen to get the first peek. Incidentally, I went to watch at the TGV in 1Utama, and the cinema we were in (screen 6) had a really fuzzy, streaky picture. The picture next door (screen 7) was crystal clear, so go figure. You know, it looks good. The poster looks really classy - an almost unrecognisable Brad Pitt, muscled up, frozen in mid-action, embossed in gold. "It's a classic, a saga, a return to epics past!" it screams out. But you know what they say by all that glitters. Here was a film where director Wolfgang Petersen had a chance to revive the golden age of cinema with a classic mythology and instead gets bogged down in serious realism. First the story: Troy is loosely based on The Iliad and bits of The Odyssey, and if you don't know what that is, I'd strongly recommend you go down to the library and pick up a copy. Even if it is an abridged illustrated version for kids under ten. It'll still be better than watching this film. The film stars Brad Pitt as the famous warrior Achilles. This is a man born to fight, but condemned to serve King Agamemnon (the excellent Brian Cox) to fulfil his destiny. If you're wondering why you never remembered the original Achilles like this, it's because good ol' Brad was encouraged to infuse a great deal of gravitas into the character. In this movie, he is human, after all - his mother is cameod by an un-Sea Nymph-like Julie Christie. He lives to do battle and the chance comes up again when Paris (Orlando Bloom) seduces Helen (Diane Kruger) and whisks her from right under the nose of King Menelaus (Brendan Gleeson). Paris' brother, Hector (a bearded Eric Bana) is furious - after all, they were on a peace mission, and whisking young wives away isn't really part of the whole peace-making concept. Personally, I would have just thrown her overboard together with Paris and told Menelaus "Helen? What Helen?". When they get back to Troy, their father King Priam (the wonderfully cast Peter O'Toole) agrees that things do look bad for them but surprisingly he too doesn't think about chucking Paris/Helen to the ocean or a bunch of lions. Go figure. When Menelaus tells Agamemnon, his brother, about this development, King Aga is more than a little pleased at the excuse of to invade yet another nation. But, he has to get that broody Achilles and his Myrmidon army to join him. It's amazing how fifty well-motivated young men led by an invincible warrior can help your army of fifty thousand and tip the balance. Eventually the Greeks row their monoremes onto the Trojan beach and take it in a scene reminiscent of Saving Private Ryan, except with arrows and a nifty human tank made of linked shields. Now why didn't the Allies think of that at Normandy? After that there is fighting, fighting and more fighting with a bit of soul searching in between. There isn't actually as much fighting as you might think because the film-makers thought it prudent to compress a ten-year siege into a war that lasts all of a month, and then there's so much made of the one-on-one battles that you'd think that it could all have been over by the weekend if they had just put their mind to it. On the other hand, they were kind enough to let Achilles join in on the Trojan Horse, seeing that in the original Illiad, he was killed some time before that and was little more than a pile of ashes by the time. Now you might think, reading all I've written so far, that I don't think very much of the film. Well, not all is bad. The production sets are nice, reminiscent of the extravagant pieces used in classics like Cleopatra or those old Roman epics. Actors like Brian Cox and Peter O'Toole do the best they can with relish, and even Sean Bean manages to have fun in his role as Odysseus. Finally, a lot of the set pieces are wonderfully shot - simply beautiful. But you know, at the end of it, it's all about the story, both the idea and the telling of it, and this is where Troy fails miserably. Bad enough they mess around with the story, they've also decided to humanise the whole thing by throwing away the gods and making Achilles a broody hero. And Paris is such a wimp that even his redemption at the end is less of a heroic deed and more in line with the idea of a back-stabber. There's really very few people to admire in this movie. Nobody is a hero, everybody is flawed. And the dialogue - don't get me started on it. It's so literal in places. It's like they had plotted the whole story out with notes like "In this scene, Hector says that he's not happy", and then a scriptwriter picks it up and writes "Hector: I'm not happy". Where are the great inspirational speeches of war? The best the had was "Immortality lies over there" "Immortality! It's yours! Take it!" - some distance from "Once more unto the breach" methinks. And there's hardly any levity to counter the soul-searching. It's all serious, serious, serious. Now, I'm sure David Benioff is better writer than me, but, still - I hope he squirms every time he watches this movie. The movie drags on for far too long and most seem contrived to fit with the "plot". I started expecting so much and left thinking I was cheated. Well, for a moment, I thought we might have a wonderful twist in the end. The Trojans go down to look at the horse that the Greeks left as a gift on the beach. "What shall we do with it?" they ask. Paris simply says, "Let's burn it". Well, it was worth hoping for. In general, US civilian contract personnel (Titan Corporation, CACI, etc. ), third country nationals, and local contractors do not appear to be properly supervised within the detention facility at Abu Ghraib. Paragraph 30 of Part 2 of the report. My scriptwriting saga continues. Well, at least the saga of the scripts I wrote continues. 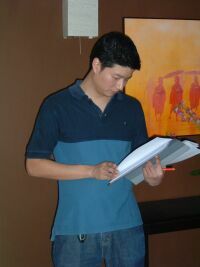 I managed to steal onto the sets a few times while they were shooting my scripts. MY scripts. Take note of that word in bold. I should begin by introducing Ng Ping Ho. You may have heard that name before - he's one of the heads at Poh-Piah Pictures and is the creative force behind shows like Kopitiam, Getting Together and Each Other. I know him from our old school days and have tracked him as he made the transition from shy six former to budding film-maker all the way through to bona fide big-shot producer. He's even got an IMDB entry. He's a really nice guy. And I have never ever taken advantage of him. Until now. I think Ping likes to have quite a lot of control over his shows. He's not dictatorial in the Roman Polanski/David Lynch sense, but he knows what he wants. Watching him work, you kind of see how he moves the pictures in his head onto film. But since I'm not really inside his head, I wouldn't really know. Just my two cents. A quick summary: Table for Two is a TV series which is an extension of the Pond's advertisments on TV. They follow the continuing trails and tribulations of a budding romance between a young lady who uses whitening-cream and her new man. No, really. Read my previous post for more. The two leads in the show are played by Azizan Nin and Melissa Maureen Rizal. You know them from the Ponds ad. As a caveat, I have to say that my entire knowledge of them stems from my few days on set. This is my disclaimer, in case anyone out there should read this and believe everything I write. I don't really know them, honest. 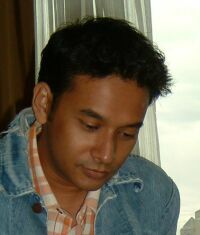 Azizan plays Adam. He seems a nice guy but I think he's miscast for his role. Adam is meant to be this cool guy from college that all the girls wowed over. Azizan is just a nice guy. I suppose actors are meant to act, but it's difficult to pull off a naturally cool and hip exterior if you're not that sort of person. On top of all that, these two episodes show Adam as being idiotic and desperate, touched with a smidgen of vulnerability. The objective was to throw a kink in the relationship, and me being the guy I am, writing what I know, the guy ended up a bit, well, idiotic, desperate and vulnerable. Don't blame me, blame my life experiences. Melissa is, I think, the one main reason why people will tune in week after week after week. Let's face it, she's a pretty girl. And a pretty good actress. Even if I didn't write a script to help show that. But I think she looks good on-screen and has a nice natural style. Even when grumpy. I wrote this scene where Adam gets extremely upset with Sue and acts like a bit of an idiot. Sue, of course, doesn't take it well and gets upset back with Adam. The thing is, the dialogue was getting Melissa genuinely upset. "If this was my boyfriend, I would have dumped him already," she fumed. And then she bore a stare straight through me. My words, my fault? Well, at least I know idiotic male dialogue. I write what I know. I know Bernie from my brief days as a Dramalab gopher. She rather stands out in a crowd, and if instead she was shorter and not so good looking, she'd still do a good job advertising her presence. I like Bernie. She's fun to be with and is definitely one of the better actors. 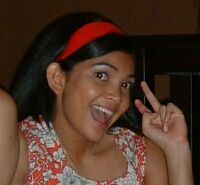 The incredibly talented Cheryl Samad plays Zoe, Sue's good friend and confidante. That and the fact she used to be a VJ on MTV Pulse is all I can say, really, because I don't know her at all, and only watched from the sidelines while she did her stuff. I hate the fact that she's pretty, can act, can sing and is an all-round bon vivante. Nobody should be that talented. Cheryl is an alumni of Ping's previous show, Each Other, and it's clear he thinks very highly of her. 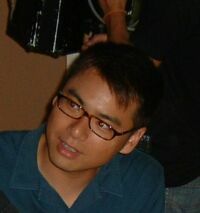 Alvin Wong plays Sam, Adam's close friend and confidante, although you couldn't really say he was a good influence on Adam. He's a little wild, a little woolly but can ultimately be trusted upon. And Alvin is similarly wild and wooolly too. Pretty much how I imagined him to be from the beginning, except that Ping had originally said he was Indian (hence the proliferation of "ayo's" in the original scripts). Alvin was also in Each Other. 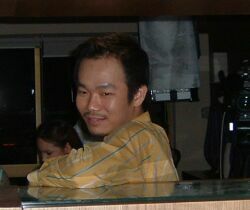 Soo Kui Jien, of Disney Buzz fame, plays Pete, Sue's work-mate and secret admirer. Jien's stock is sure to rise as he will be hosting Malaysian Idol - my comment to him was, "You know Ryan Seacrest? I can't stand him". Here's to a distinctly un-Seacrest-like Jien. My two episodes deal heavily with Pete's crush on Sue, so I got to see quite a bit of Jien in action. 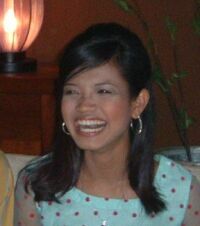 Jien's partner-in-crime on the Disney channel, Azura Zainal, is also into the act - she plays Amy, who is Adam's ex. My episodes have very little of Amy, who only serves as a prop for the party scene - sorry! 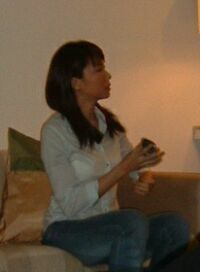 There's also Zara, who's played by Wong Sze Zen. Keeping in tradition with Ping's habit of hiring beautiful young women, Zen just happens to be Miss Malaysia / World 2003. It must be a hard life being a TV producer. Zara is my creation - I invented and fleshed her out, unlike the rest who already existed, so I feel a bit of pride seeing her brought to the screen. She actually has a few appearances after my episodes, so if Table for Two makes it to a second season (cough, cough), here's to seeing more of her. Then there's Bobby, who is Adam's boss, but I haven't met him yet. More on this later. Excuse me, May i know that where can i buy the VCD or DVD of "table for two" ? Assists the interrogation support program team lead to increase the effectiveness of dealing with Detainees, Persons of Interest, and Prisoners of War (POWs) that are in the custody of US/Coalition Forces in the CJTF 7 AOR, in terms of screening, interrogation, and debriefing of persons of intelligence value. This job opening is being offerred on a website run by a company named CACI International Inc. Who exactly are they? Well, I'm not one-hundred percent sure, but they are one of the US companies that has "contractors" in Iraq. Let's get this right: The foreign contractors currently running around the Middle East are not the kind of contractors that you call to help fix a leaky roof or cracked floor tiles. You've got to think of more people-oriented jobs. Like interrogator or Special Security Officer or Database Analyst (who's job description includes "..provide intelligence support for interviewing local nationals and determining suitablity of local nationals to support US operations."). Kind of puts a focus on the four contractors who were attacked in Fallujah by the locals. In the good old days they used to called these guys "mercenaries". The United States is committed to the world-wide elimination of torture and we are leading this fight by example. - Statement by President George W. Bush, in conjunction with United Nations International Day in Support of Victims of Torture, 26 June 2003. All you Michael Moore fans, here's a name to watch out for: Morgan Spurlock. He's recently released a movie/documentary called Super Size Me where he tries to eat nothing but McDonalds for thirty days. His month-long binge and consequent health problems (he had a doctor monitor him throughout filming) may have been worth the Best Director award in the Sundance Film Festival. Allegedly McDonalds have now pulled out the "Super Size" option from their menus (although they claim it's nothing to do with the film). Will this documentary ever make Malaysian shores? On DVD, perhaps (and you know I don't mean on the shelves of Speedy Video). Look forward to it.